You will agree with me not all rotary cutter is the same! Some are sleek, easy to grip or handle, cut smoothly and don’t even damage your working table. 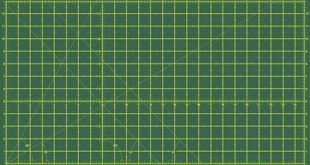 What are the best rotary cutters for 2018? Which one should you buy? Everyone has a requirement or preference when it comes to the type of sewing and quilting cutting tool they use. I’ve considered these and handpicked 5 top rated rotary cutters from top brands that will make cutting easier for you. This article or rotary cutter review will help you choose the best one for you. This will definitely not be your first Fiskars sewing accessories, that means you are familiar with the quality the brand represents. The brand didn’t come short with this rotary cutter either. Looking simple and practical, the 45mm rotary cutter has the sharp edges that can cut through multiple layers of fabrics. Aside from thick fabrics, the rotary cutter can also handle felt, vinyl and paper. You will be wondering whether you can use it with either of your hands. Yes, you can. Just assemble it to your strongest hands. 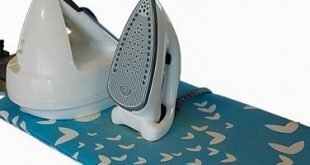 There’s no wobbling or the blades getting dull after each cut, it is made of high-grade stainless steel. Looking from a dull angle, the positioning of the release button isn’t right. You might constantly hit it unconsciously. Without that little flaw I found, this would have been a masterpiece as the blades are very sharp and using is way better than scissors. With the price tag, it is a good buy anyway. Can you imagine the time and energy you’ll be saving if you have a rotary cutter that can cut through six layers at once? Yeah! It sounds crazy. Olfa scored the right boxes when it comes to strength, speed, convenience, and safety with this rotary cutter. The dual action lock of the rotary cutter keeps you safe when cutting and when not in use. One feature that makes this unique is the use of specialty blades for scalloping, pinking, and wave. The design provides your hand with the comfort you need (ergonomically). Upholstery, felt, cotton, vinyl, fleece or fabric? You have a rotary cutter that can cut it all. However, you need to use this cutter on a cutting mat to prolong the life of the blades. If you don’t speak Japanese, you will need a bit of Google Translate to understand the Japanese instructions for assembling. Outside of that, the rotary cutter works perfectly and does its job of cutting without cutting the user. It’s another Fiskars, a stronger and bigger one for tougher materials such as betting and foams. Regardless of how thick you quilting material seems to be, the 60mm blade is sharp and strong enough to cut it through. To keep the blades sharper and long-lasting, Fiskars 60mm Rotary Cutter features a Titanium coating. Another unique feature is the Softgrip handle that ensures your hand does not suffer pain and fatigue in the process of cutting. There’s a natural feel to the use of the rotary cutter as it is shaped exactly for your hands. Whether you are left or right handed, the design allows for visibility. There’s also a sliding button that allows for blade retraction when not in use, this keeps you safe from cutting. You need to keep your blades sharp by using it the recommended right way as replacement blades are available but expensive. Ensure you always check the nuts that keep the blade in place as it easily loosens. If what you require is a strong and sharp rotary cutter for your thick and stubborn materials, you’ve got to consider this one. When you are asked about the history of rotary cutters, this cutter must feature in the line-up. It dates back as far as 1979, almost three decades ago and has changed the sewing industry since then. Though so many things have changed, the beautiful designs made with the Olfa rotary cutter hasn’t changed. Looking simple, just know it is quite an easy one to use. There’s nothing to learn about in this one, just buy and cut. For your safety, there’s a blade cover to prevent accidental cuts. And for your comfort, the handle is designed to ensure there’s less fatigue to the hands. As simple as it looks, it works for ambidextrous users. The RB45 blade used can be easily replaced even though it will take a long while before you need to. This blade goes beyond quilting and sewing but also for a whole of other crafts. If you’re used to rotary cutters with a curved handle, using the straight design might feel a bit awkward. This rotary cutter has a place in the toolbox of experienced professionals as it can also work for industrial applications. It’s not just enough to have a rotary cutter that can cut through any material but one that ensures the safety and comfort of the users. From the pink color of this rotary cutter to the ergonomic handle, a lot of thought went into its production. Powered by an SKS-7 Steel blade that continuously stays sharpened for a long time, the cutter wouldn’t need a replacement in a long while. The blade doesn’t wobble or deviate as there’s a built-in lock feature that ensures it stays in place at all times. Moving the rotary cutter around will not cause any harm because of the dual safety features in place. You can also use this for decorative edges as it allows for wave, scallop, peak, and it works as a pinking blade. Just like most other rotary cutters, you need to ensure the nut that secures the blades are tight. Any loose nut will lead to a wobbly cut. 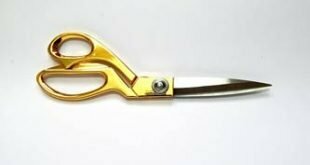 Nonetheless, looking at the color and price, this will work as a perfect rotary cutter for anyone new to quilting and sewing. In the event that you are always working on thick materials, Fiskars 60mm Rotary Cutter will be the right cutter to invest in. Olfa 60mm (or 45mm) Rotary Cutter’s safety features make it a good choice if you are worried about safety. 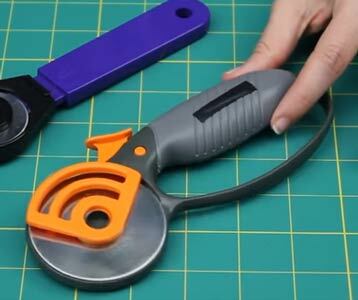 Lastly, you can rely on the quality of Fiskars Contour Rotary Cutter despite being on a low budget. I’ve considered safety, replaceable blade, and comfort in this rotary cutter review. Please ensure you take the necessary precautions to keep yourself safe when using this tool. You can get back to me through the contact box if you are in doubt about any of these rotary cutters.